This weekend, there will be a brilliant event held in St. George’s Hall, perfect for all ages. 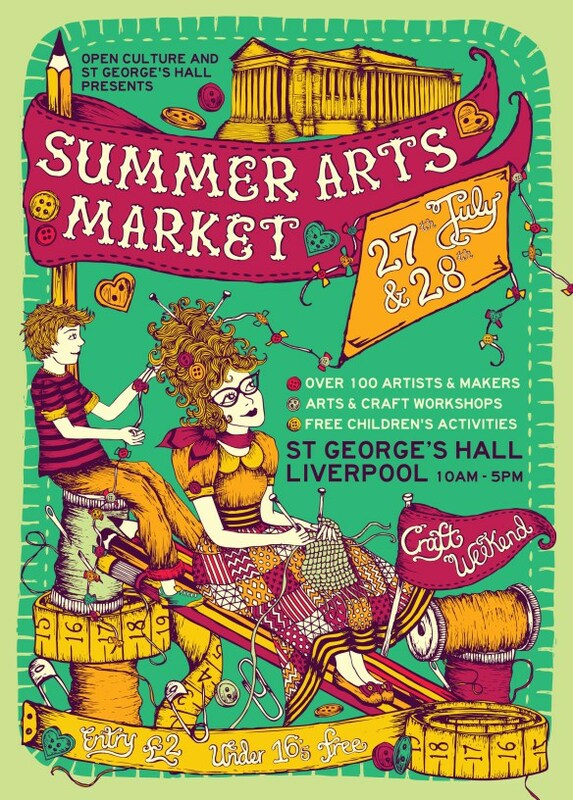 Running from the 17th-28th July, the Summer Arts Market will be a two day celebration of arts and crafts with workshops from brilliant local creators and studios. With a wide range of designers and artists selling beautiful original screen prints, paintings, jewellery, accessories, tableware and lots more, it’s the perfect way to spend a Saturday or Sunday afternoon browsing through the lovely and unique stalls on offer. There will be a series of workshops on offer over the weekend including a ‘floral crown wreath’ workshop from Craft Creative and a ‘crochet flower making’ workshop courtesy of Liverpool Happy Hookers. For more information, head to the website here. We’ll see you there!